AS Pest Control provide an efficient, affordable and professional mole control service in Mansfield. Available 24/7 we offer a quick and reliable service to conveniently remove the mole problem. 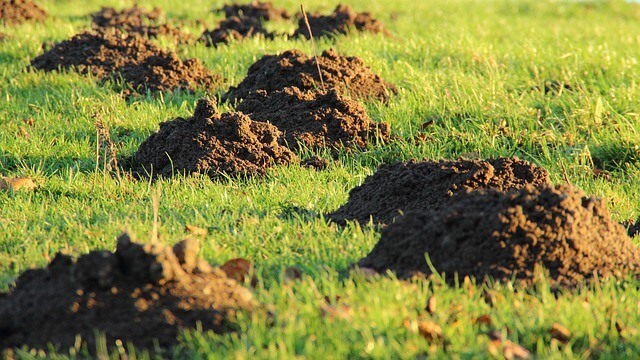 Moles can do considerable damage to lawns, fairways, formal gardens and sports grounds with their constant tunneling. They create complex burrow systems below the surface with the ability to tunnel up to 4 metres an hour. Contact AS Pest Control and we can provide a free onsite mole control Mansfield quotation. The eyesight and sense of smell of moles is generally poor, they find food using their acute sense of touch and feeling vibrations. Moles will prefer to inhabit area which are rich in insects and worms. 80% of their diet is earthworms. The size of their territory depends on the food supply which can be between 400-2000 square metres. Acting quickly once the first sign of mole activity is seen will ensure the problem can be treated quickly. Moles are not sociable animals with adults often living alone. In areas with high worm populations several moles can be present. AS Pest Control provide Mole Control in Mansfield starting from only £40. Moles can be treated in two ways, trapping or gassing. Traps are set in the burrows where the mole is most likely to return. The traps often need to be moved if the mole starts tunneling in a different area. The erratic and unpredictable nature of moles can mean that two or more visits are required to check and move the traps. Gas treatments are not always successful, especially if the ground is dry. If the treatment is successful then it is possible that the area may become re-infested at a later date. If traps have been placed it is important to ensure that they are not pulled up by people or damaged by machinery. AS Pest Control provide a local, affordable mole control solutions for residential and commercial customers in Mansfield, Nottingham, Derby, Chesterfield, Worksop and surrounding areas.